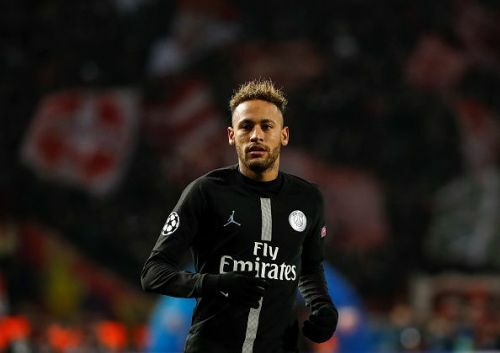 Following Paris Saint-Germain's shocking defeat in the hands of Manchester United in the UEFA Champions League Round of 16 second-leg tie, Neymar commented about the penalty awarded against his side. Eventually, United scored the penalty and advanced to the next round of the competition. Neymar missed the clash at Parc des Princes due to a foot injury. Les Parisiens held a 2-0 lead going into the game after winning the first leg at Old Trafford. However, in spite of the multiple injuries to first-team players, United managed to turn the game around and eliminate the Ligue 1 team. The Brazilian forward was unhappy with the penalty decision as he ranted on his social media account. UEFA investigated into the case and have decided to charge him. The former Barcelona man felt that the referee had made an incorrect decision when awarding the penalty to the Red Devils. He mentioned the following on his Instagram account. "This is a disgrace, they put four people that know nothing about football in charge of looking at the replay for VAR. Neymar is set to be fined by UEFA and may receive a ban. His harsh actions have done nothing to change the result of the game, but in turn, it has led to a charge for violating UEFA rules. With PSG eliminated from the European competition, they will now focus their efforts on Ligue 1. The club is currently the leaders of Ligue 1 with 77 points, 20 points clear of Lille who are in second place. The forward will miss Brazil's upcoming international friendlies as he continues his recovery from his foot injury.